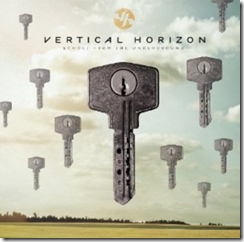 The new Vertical Horizon album Echoes from the Underground released today. Neil Peart plays on two tracks, including "Instamatic" and "South for the Winter." A massive THANK YOU to Neil Peart and the entire RUSH? family for the overwhelming support!!! Working with Neil on this music was incredibly inspiring. He comes up with brilliant ideas so quickly -- it is a joy to collaborate with him. Yes, he's the greatest drummer in the world. But he's also one of the most spectacular human beings I've ever met. And one of my dearest friends. You can watch a video of Neil's tracking session on Billboard.com.